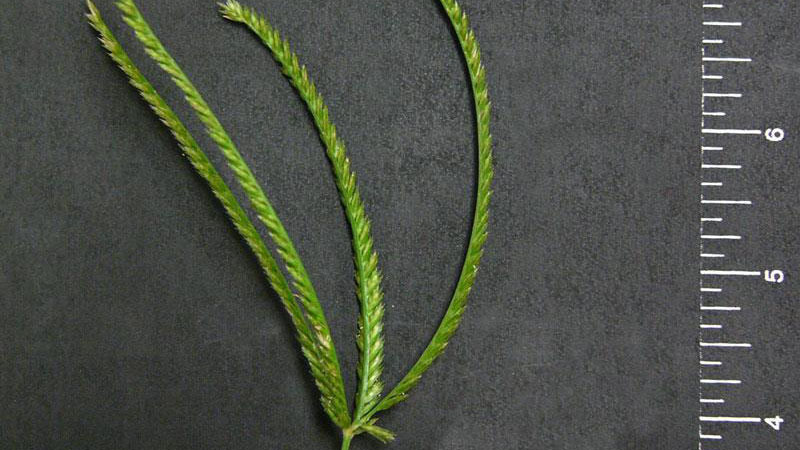 Goosegrass is a very troublesome grassy weed in athletic fields, golf greens, tees and fairways, and in other turfgrasses that are mowed short. It germinates when soil temperatures reach 60 to 65°F, and requires moisture and light for germination. Goosegrass has a prostrate growth habit, and is often white in the center with a wagon-wheel like appearance. 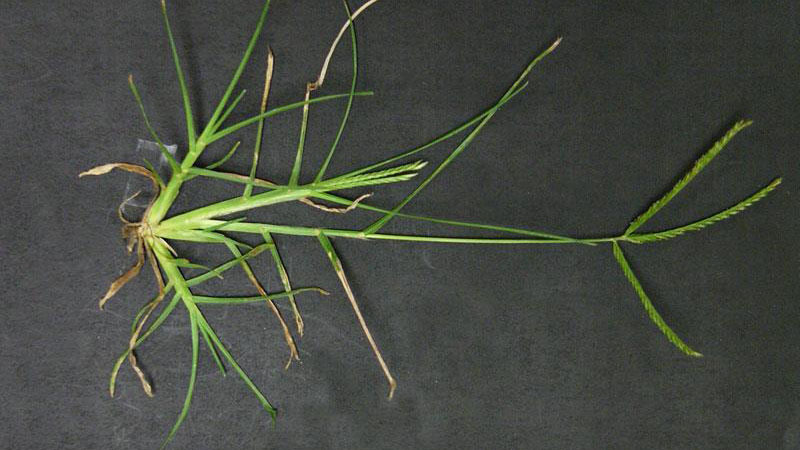 Unlike crabgrass, it does not root at the nodes, but grows well in compacted soils. It competes very successfully with warm-season and cool-season turfgrasses during summer months and is most competitive in thin, open turfs and turfs subject to intense traffic or use. 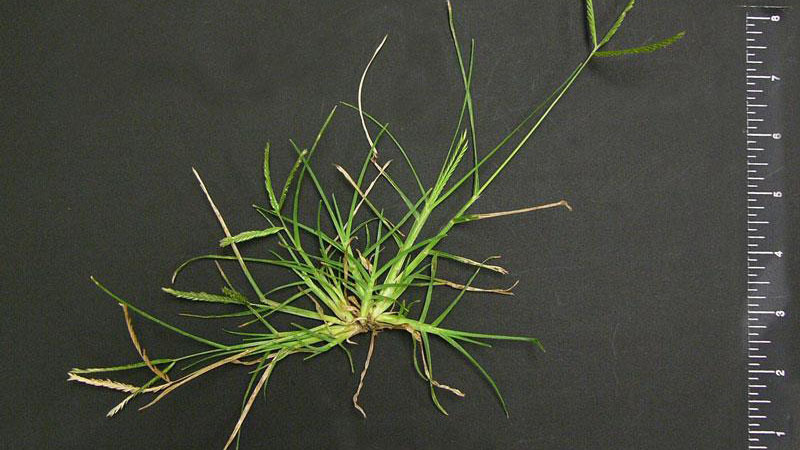 Goosegrass is most competitive in thin, open turfs and turfs subject to intense traffic or use. 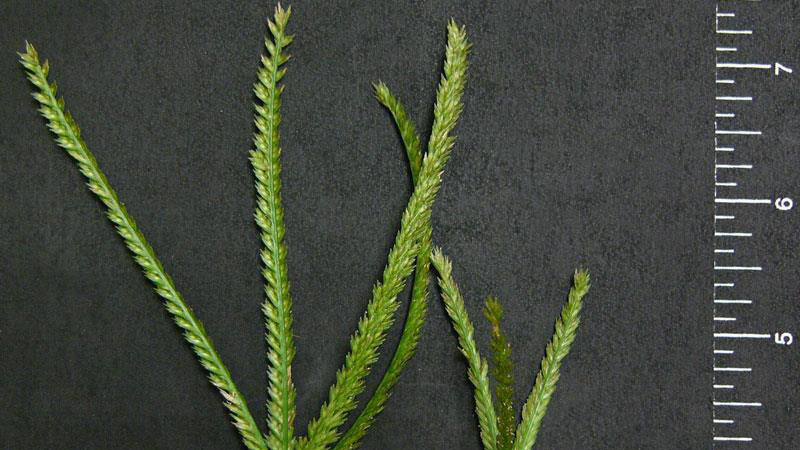 Close mowing and frequent watering enhance goosegrass competition. 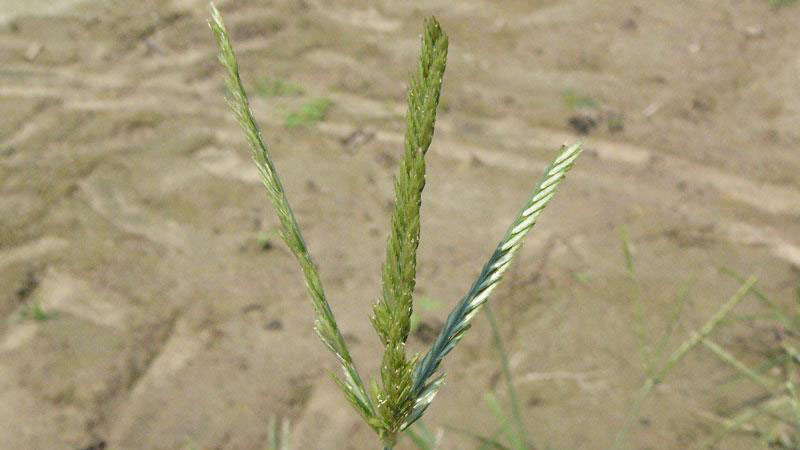 It is a very troublesome weed in athletic fields, golf greens, tees and fairways and other turfgrasses that are mowed short. Goosegrass germinates when soil temperatures reach 60°F, which is usually at least two weeks later than crabgrass. 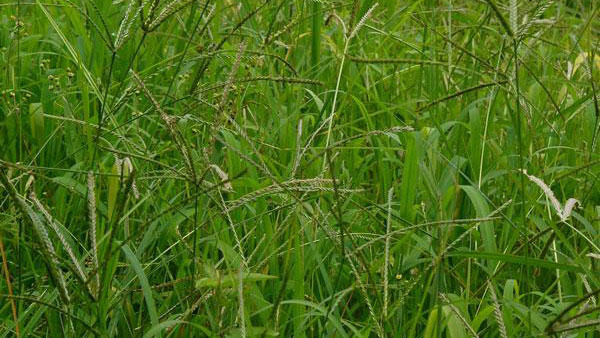 It competes very successfully with warm-season and cool-season turfgrasses during summer months. A severe goosegrass infestation may indicate the need for aerification to alleviate compaction. Precaution and Remarks: Safe to apply to all established turfgrass except bentgrass. Do not apply in the spring to lawns seeded the previous fall or to golf course greens. 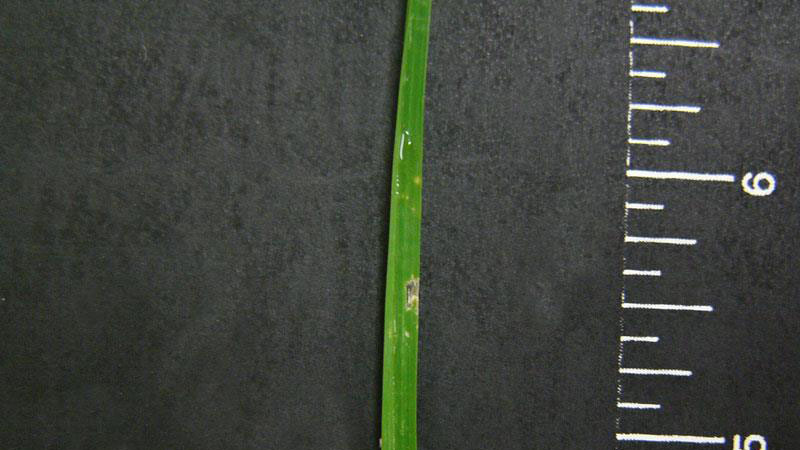 Do not use on newly sprigged turfgrasses​. Precaution and Remarks: Use on noncropland as well as established nonresidential and residential turf areas mowed at least 4 times consisting of bahiagrass, bermudagrass, buffalograss, centipedegrass, St. Augustinegrass, zoysiagrass, Kentucky bluegrass, perennial ryegrass, bentgrass, established Poa annua (0.5 inch height or taller), fine fescue, and tall fescue. Do not use on bentgrass or Poa annua greens and tees. If lower rate is applied initially, repeat in 6-8 weeks for extended control. Do not reseed or overseed into treated turfgrass for 3 months, or sprig turfgrass for 5 months following application. Do not exceed 4.2 pints per acre on residential and sod farm turfgrass. Precautions and Remarks: See precautions for prodiamine 65 WG and 4 FL above except may be used on established turf only. Do not apply more than 150 pounds per acre per application. Do not make more than two applications per calendar year. Wait at least 60 days after initial application before making a second application. Prodiamine is coated on a 32-3-12 dry fertilizer carrier. Precaution and Remarks: Use on residential, commercial, recreational, sod farm and golf course turf, excluding greens. Apply 21 ounces to established bentgrass, bluegrass species, fescue species and perennial ryegrass maintained at 0.5 inch cut, but expect yellowing and stand reduction. Apply 32 ounces to bahiagrass, bermudagrass species, centipedegrass, St. Augustinegrass, seashore paspalum and zoysiagrass. For extended control, make sequential applications within 5 to 8 weeks at 32 fluid ounces per acre rate. Irrigate within 24 hours of application for optimum control. Following application, wait 6 weeks to overseed or reseed, wait 2 months to sprig, wait until 2 mowings for new sod, and wait until 4 mowings for newly seeded turf. Precaution and Remarks: May be applied to home lawns. For use on creeping bentgrass, tall and fine fescue, perennial ryegrass, Kentucky bluegrass, and all warm-season turf species except St. Augustinegrass. 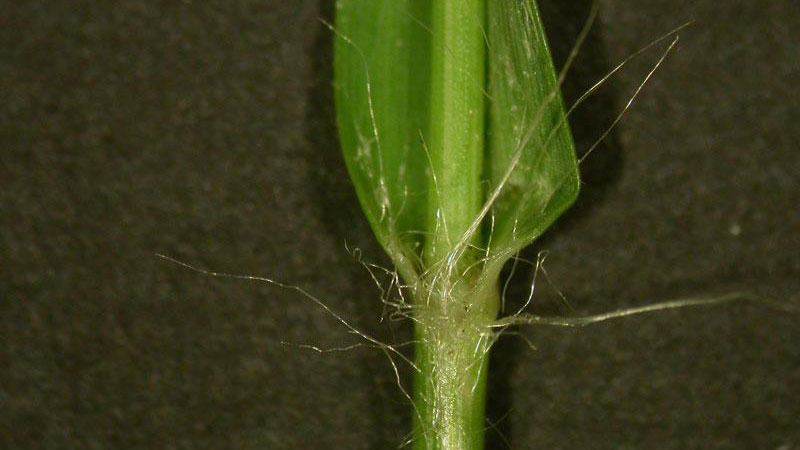 See precautions listed under purple and yellow nutsedge section. 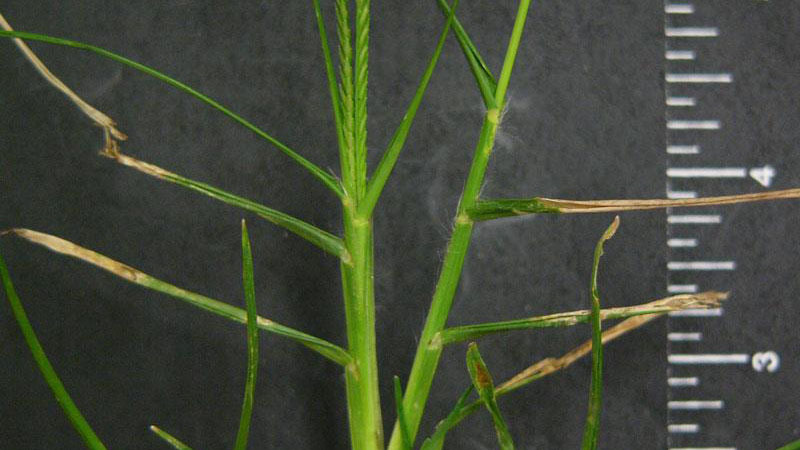 For goosegrass control, apply 0.75 pint per acre on plants up to 2 tillers. Figure 1. Goosegrass seedhead. Figure 2. Goosegrass seedhead. Figure 3. Goosegrass seedhead. Figure 4. Goosegrass seedhead. Figure 5. Goosegrass seedhead. Figure 6. Goosegrass seedhead. Figure 7. Goosegrass seedhead. Figure 8. 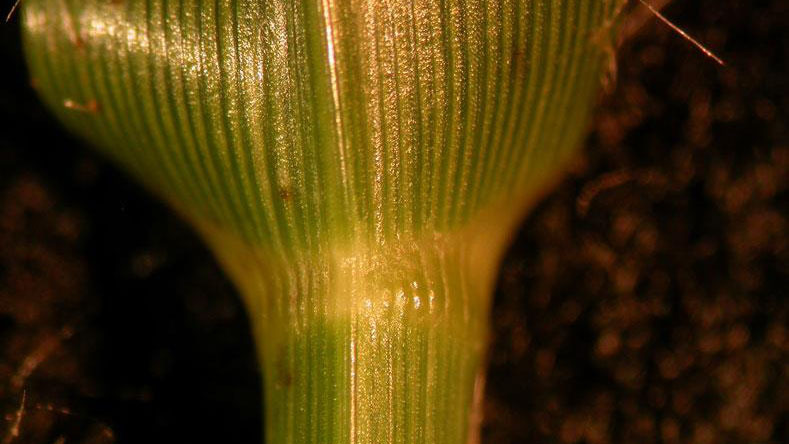 Goosegrass ligule. Figure 9. 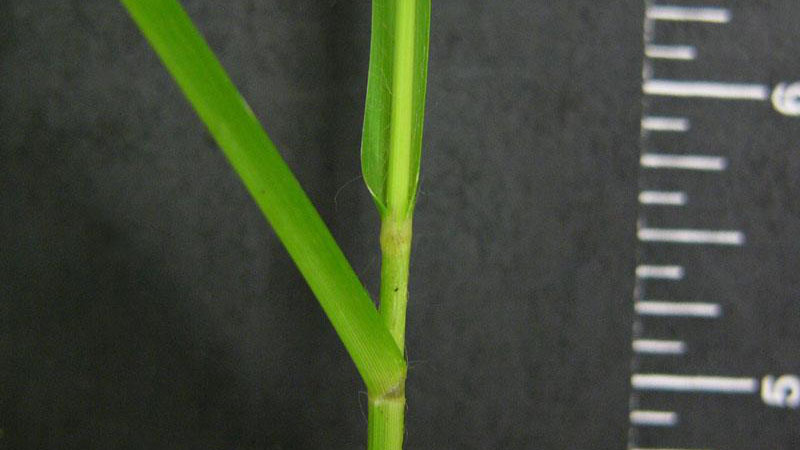 Goosegrass ligule. Figure 10. 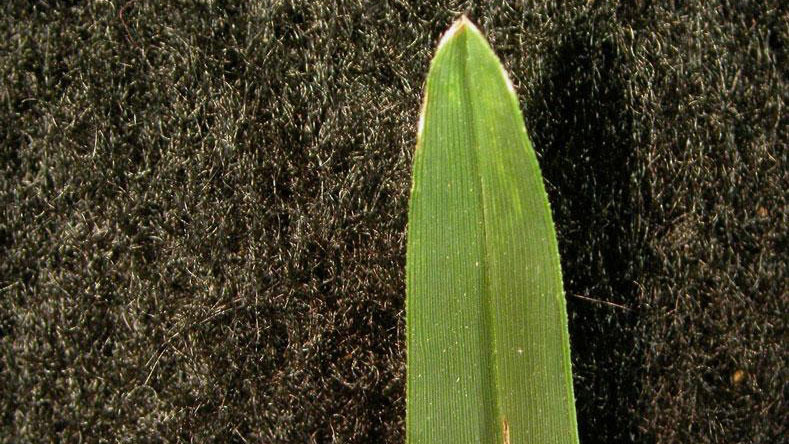 Goosegrass leaf blade tip shape. Figure 11. 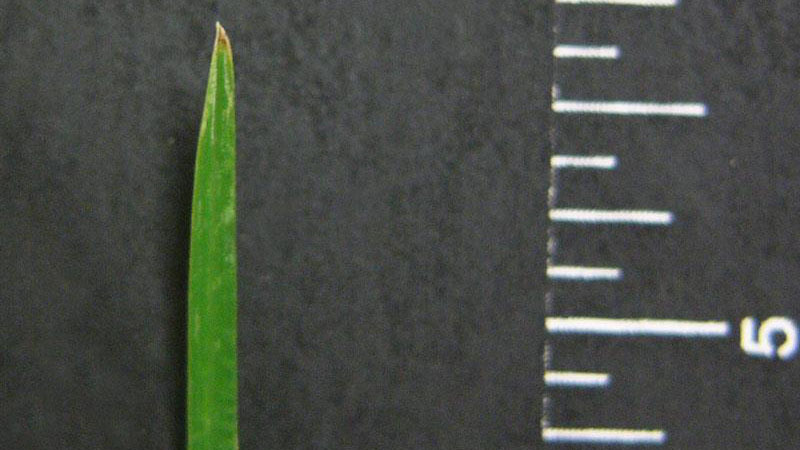 Goosegrass leaf blade tip shape. Figure 12. 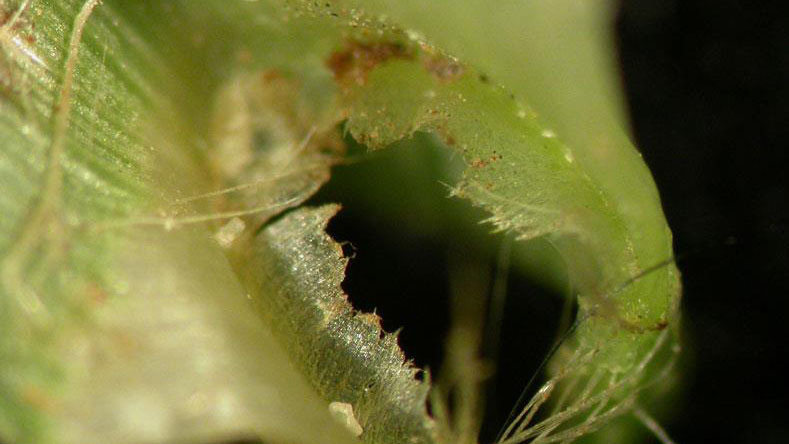 Goosegrass leaf blade tip shape. Figure 13. 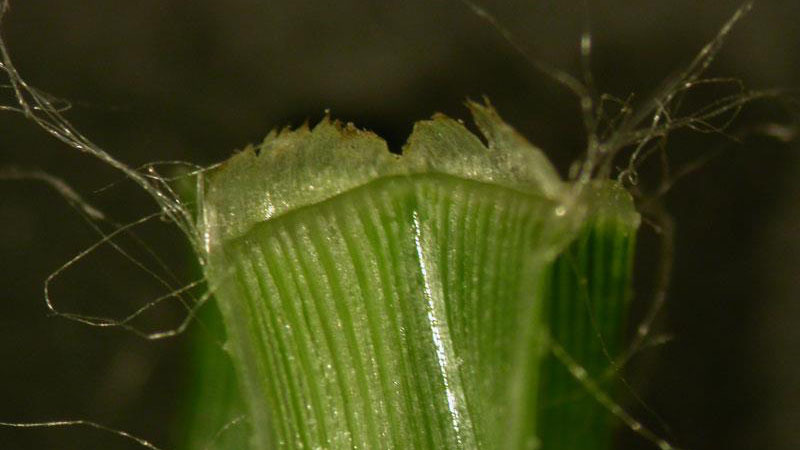 Goosegrass collar. Figure 14. Goosegrass collar. Figure 15. Goosegrass collar. Figure 16. 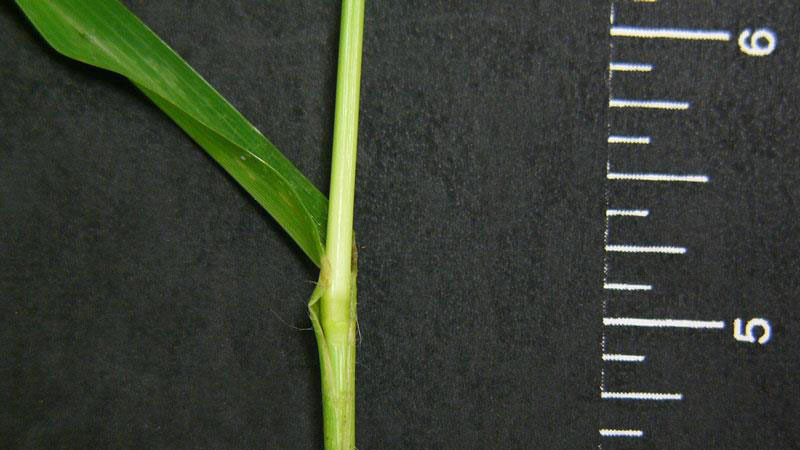 Goosegrass sheath margin. Figure 17. 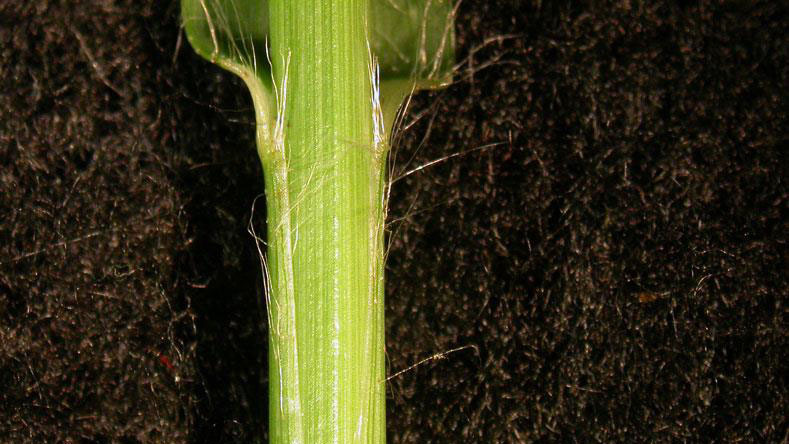 Goosegrass sheath margin. Figure 18. 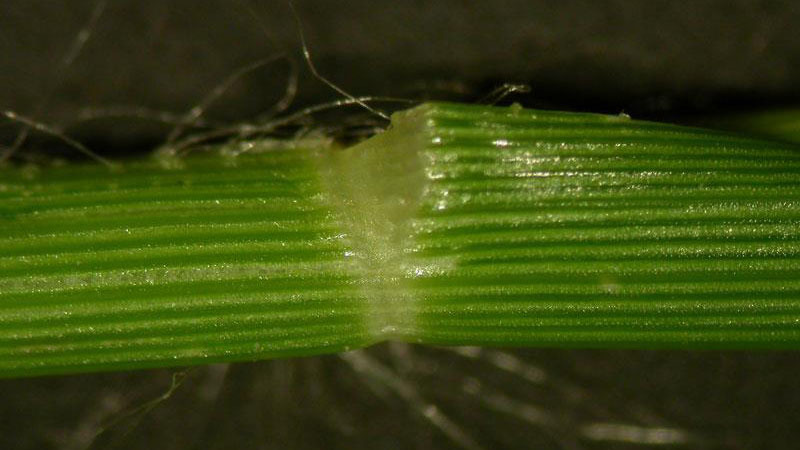 Goosegrass sheath margin.